This educational summer camp is sure to be fun for performers of all skill levels ages 5-9! 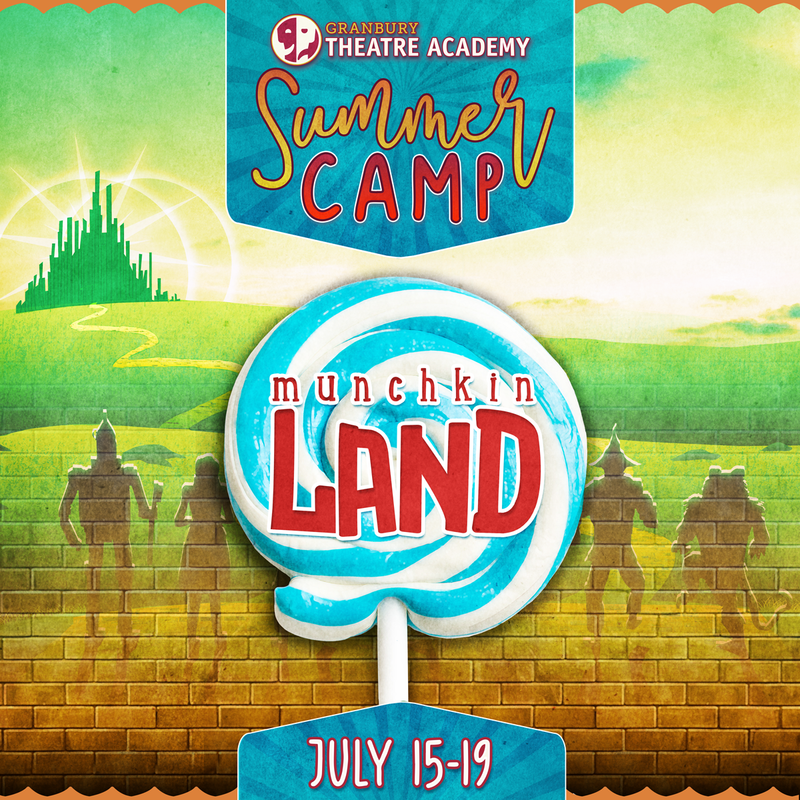 Campers will experience 5 days of fun and 4 rehearsals while learning music, choreography, and character development from area professionals who will prepare them for performances as the Munchkins in Granbury Theatre Company’s THE WIZARD OF OZ on the Granbury Opera House mainstage! We are hoping to have enough interested Munchkins that we can split the performances among campers. Every camper will have the opportunity to perform at least 10 times, and we are hoping to avoid any 4 show weekends, but they may have that opportunity! Auditions will be Wednesday, June 12 at 10:00 am at the Granbury Opera House. Please prepare 45 seconds of your favorite song. Parts of the script will be provided for campers to read from. *Additional siblings may attend for $50 per sibling. The most beloved tale of all time comes to life on the stage! Dorothy and her three friends trot delightfully and tunefully down that fabled road of yellow brick in The Wizard of Oz. After a tornado whisks her away to the magical land of Oz, young Dorothy Gale teams up with a Scarecrow, a Tin Woodsman and a Cowardly Lion to find the mighty Wizard of Oz, who can send her home. Along the way, they must avoid the clutches of the Wicked Witch of the West, who is trying to steal the mysterious magic slippers that once belonged to her evil sister… but are now on Dorothy’s feet. Dorothy eventually learns just how magical friendship can be and how wonderful it can feel to go home again. During the four tech week rehearsals, campers will have the opportunity to take part in the process of putting the entire show together. It is during this week they will be able to rehearse with full costumes, lights, and set. Tech rehearsals do tend to run long, because of this Munchkinland campers will be released as soon as the Munchkinland scene is over and they are out of their costumes. © 2019 Granbury Theatre Academy. All rights reserved.